Watch this video for an overview of the Fusion 360: Design and customize a VEX EDR clawbot course, content, and learning objectives. In this lesson, you discover what you will learn in this course and download the software and resources you need. Before you begin modeling and prototyping your robot design, you review several foundational concepts that help you anticipate necessary modifications to your designs during the engineering and manufacturing phases. By reviewing how designs are both made and assembled, you can create better designs from the start of the process. In this lesson, you explore the core concepts behind the file structure and review the user interface and navigation. • Download the software resources required for this course. 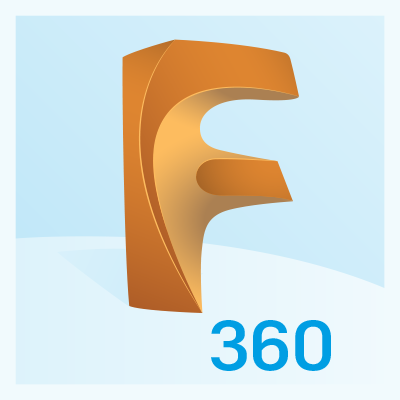 • Describe Fusion 360 CAD/CAM software. • Explain key differences in design workflow to Fusion 360 from Tinkercad and Solidworks. • Review file sharing options with other users. • Review the user interface components. You have been asked to complete the assembly of a VEX EDR Clawbot robot. Using the VEX Guide for Building the Clawbot for reference, you open a partially completed robot assembly then assemble the supplied components onto the robot. At the completion of this lesson, you will have assembled the wheels onto the robot and you will be ready to model the Clawbot arm assembly. ● Create a new project and upload files to the project. ● Open an existing robot assembly. ● Insert robot components into the current design. ● Assemble the components using the VEX Guide for Building the Clawbot for reference. ● Insert the wheel subassemblies into the design and assemble them to the robot. Continuing from the previous lesson, you assemble the claw arm. At the completion of this lesson, the design will be ready for the assembly of the claw arm onto the main robot assembly. ● Insert the claw arm gear components into the design. ● Use joints to assemble the claw arm gears. ● Use joints to complete the assembly of the claw arm. Continuing from the previous lesson, you insert the claw subassembly into the current design and assemble it to the arm using joints. You then insert the gear mechanism components into the current design. The assembled gears are then attached to the main robot body and checked for the correct motion. ● Insert the claw subassembly into the current design and assemble it onto the claw arm. ● Insert the gears and shaft for the claw arm into the current design. ● Assemble the gear components onto the main robot body. ● Create a motion link between the gears and the motor. Continuing from the previous lesson, you assemble the claw arm assembly onto the robot, and then check the motion of the arm. You then review comments from the design team and make the required edits. To complete the robot, you insert and assemble the battery straps, Cortex controller, supports and a battery into the design. ● Assemble the claw arm onto the robot. ● Review the motion of the claw arm. ● Review comments from the design team then make the suggested edits to the robot design. ● Insert and assemble the battery straps, Cortex controller, supports and a battery to complete the assembly of the robot. Now that you have assembled the robot, you document the design by creating drawings of the assembly and detail drawings of a robot component. In addition to the drawings, you add balloons and a parts list to a claw subassembly drawing. The drawings enable you to output PDF and DWG documentation of your design. ● Create a new drawing from the existing robot design. ● Document the Clawbot robot by creating drawings of the complete assembly. ● Create a parts list then add balloons to a claw subassembly drawing. ● Create detail drawings of a claw component. ● Output the drawing as a PDF file. Create photorealistic images of the robot in the Render workspace. You also change the appearances of the robot and change the lighting to enhance the rendered image. Fusion 360 comes with a set of materials and a materials library making it easy to modify the appearance of a component or face. The scene settings control the environment or the lighting of your scene. When you want to render a final image of your scene in a specific size and output click on the render settings. The render settings give you two options, one is an option to render on the cloud and the second is to render locally. In addition to creating photorealistic images, you can create animations of exploded views in the Animation workspace. These animations can be published and shared with the design team. ● Set the environment and lighting for the scene. ● Change the appearance of components on the robot assembly. ● Render the scene using the cloud and local options. ● Create an exploded view of the VEX 393 motor. During competition practice, team members have commented that it would useful to capture the action on video as the robot goes through the various phases of the game. One design proposal is to design a holder for a cell phone that can be attached to the robot. ● Review the design parameters of the custom part. ● Model the base feature of the custom part. ● Add the bolt features to the custom part. ● Create the openings for the cell phone features. The phone case assembly can now be assembled onto the robot. You then document the phone case in the Drawing workspace. The virtual design is then exported as an STL file. This file will be sent to a 3D printer to create a physical prototype that can be tested in a practice game situation. ● Open the robot assembly then insert the custom part, nuts and bolts. ● Use joints to assemble the custom part, nuts and bolts onto the robot. ● Document the phone case. ● Create rendered images of the assembly. ● Create an exploded view of the custom part. ● Export the case and phone models as STL files. ● Create 3D prints of the case and phone. ● Test the custom part in a trial game situation. ● Modify the design based on feedback from the design team. Take the online quiz to assess your knowledge of Fusion 360 and the design process.